Applications: Used widely in washing machine,water pump,air conditioner and as well household electric appliances etc. to start and run single phase motors in alternating current usage. 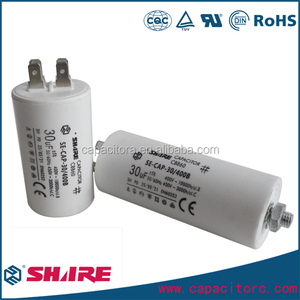 Techinnical Parameters: Capacitance range 1-150&mu;f Rated voltage Un 250v. 1. 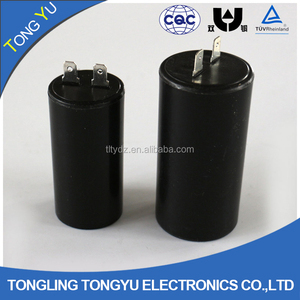 Product Applications: It is widely used as the start-up and running capacitor that is mainly for water pump, cleaning machine, washing machine, and single-phase motor. What's your MOQ of this product9 MOQ is 1000 pcs ,if less,please check with us firstly. What's your delivery time9 It is about 7-25 days, if your goods required urgent, please contact us firstly. 2.Q: How about your quality9 A:We arrange the production quality according to customers' request. 3. Q: What are your payment terms9 A:30% deposit by T/T in advance,pay 70% balance when the products are finished. 5. Q: What about the customers&rsquo; response9 A: They always become our regular customers and also our good friends. Free samples can be provided for you as long as the value is within $5, but need you pay the freight . 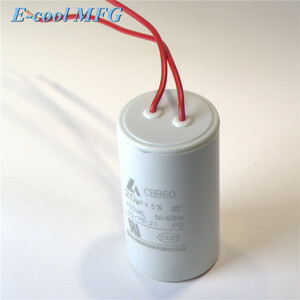 is a professional and integrated manufacturer of capacitor with leading technology. 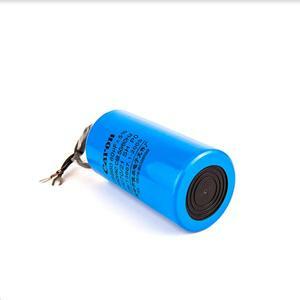 We are a capacitor factory with nearly 20 years of production experience. 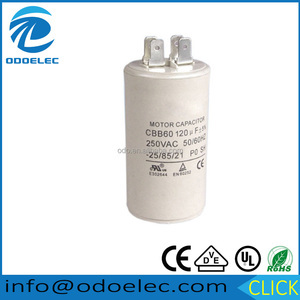 Air condition parts cbb60 25uf 500vac capacitor It is applied in air conditioning,refrigerator, motor, compressor, it is helpful for motor's starting and running. Data above may be changed without notice. Executing Standards: IEC60252, UL810, EN60252, VDE0560-8, GB/T3667.1-2005. Capacitance Tolerance: &plusmn; 5% or fulfilled upon request. Q 2.Would you accept to use our logo 9 A. Q4 What's your guaranty time9 A. Q5 What's your payment term9 A.
s &mdash;&mdash; 01 &mdash;&mdash; What is your sample policy9 We can supply the sample if we have stock, but the customers have to pay the sample cost and the courier cost. &mdash;&mdash; 02 &mdash;&mdash; Can you produce according to the samples9 Yes, we can produce as your samples or technical drawings. &mdash;&mdash; 05 &mdash;&mdash; What is your terms of packing9 Generally, we pack our goods in neutral brown cartons. 1.Uses The feature is small in dimension. low dissipation factor and good self-healing character. The capacitors are applied to the motors for washing machine etc. 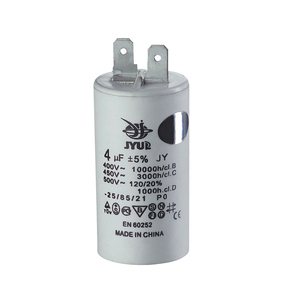 3.Rated capacitance: Between 1.0&mu;F and 100&mu;F 4.Withstand AC voltage between terminals: 1.75 times rated voltage for 2 seconds. 5.Withstand AC voltage between terminal and case: 2000VAC for 2 seconds. The case dimensions of single-phase capacitor and 3-phase capacitor with equal rated output are the same. 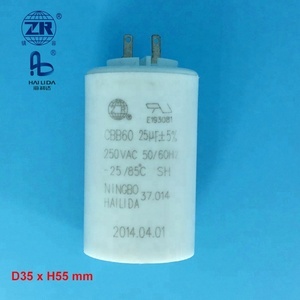 Alibaba.com offers 2,183 500vac capacitor cbb60 products. About 95% of these are capacitors, 1% are integrated circuits. 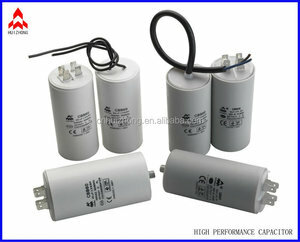 A wide variety of 500vac capacitor cbb60 options are available to you, such as free samples, paid samples. 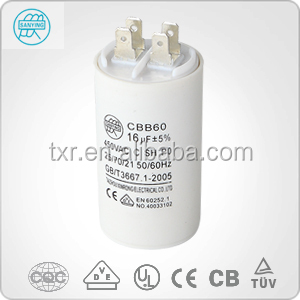 There are 2,105 500vac capacitor cbb60 suppliers, mainly located in Asia. The top supplying countries are China (Mainland), India, and Hong Kong, which supply 99%, 1%, and 1% of 500vac capacitor cbb60 respectively. 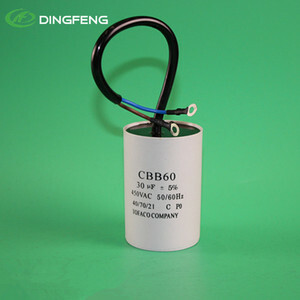 00vac capacitor cbb60 products are most popular in South America, Southeast Asia, and Mid East. You can ensure product safety by selecting from certified suppliers, including 267 with ISO9001, 188 with Other, and 49 with ISO14001 certification.